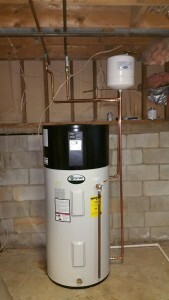 Does Your Water Heater Need Replaced? How can you tell if your water heater needs to be replaced? Read on for some things to look for. The water heater is one of the most costly elements of a home’s plumbing system, but it is also one of the most important. Your water heater is what gives you the ability to take showers and baths and allows you to clean your clothes and dishes. Life would be much less comfortable without it! However, a water heater has a limited lifespan and they do need to be replaced from time to time. How can you tell if yours needs to be replaced? Here are some guidelines to follow. If you’re having trouble with your water temperature, this may be the most obvious sign that a new water heater may be necessary. Problems with water being too hot or not hot enough, or even no hot water coming out at all, can sometimes be fixed temporarily, but a new water heater will be needed eventually and it may be better to simply replace rather than delaying the inevitable. A hot water tank can sometimes make unnatural noises that may cause you some concern. Most of these noise issues are caused by sediment that builds up inside the tank. The debris comes in contact with the heating element which burns the sediment away and causes lots of noise. The fix for this could be as simple as flushing the tank or replacing the heating element. This is particularly common for people with hard water and this can speed up the wear and tear on your existing water heater. Nowadays most water heaters are sold with a 5 or 10-year warranty so they should be good for at least this long. Some water heaters can even make it to the 15 or 20-year point. But if you live in an older home with an old water heater, common problems with water temperature or noise can be indicative that your heater needs to be replaced. Unfortunately, a leaking hot water tank can’t be fixed quickly or easily, so if you notice standing water near your water heater, you should contact a professional immediately in order to prevent flooding and other damage. This entry was posted on Thursday, November 3rd, 2016 at 8:18 pm. Both comments and pings are currently closed.